Taking a timeout was never in the plans. It is good for the body and the soul. I knew I needed some R&R and as the days turned into weeks, I kept feeding my soul. Life has been a whirlwind lately. I have mentioned it several times and while I had every intention of blogging in my spare time, my spare time become too valuable to me. There just wasn't enough of it. I took a step back, prioritized the things that needed my direct attention, put in place a few action plans that are continuing to move forward (yay) and my 9-5 work deadline and accreditation audits are over. I can finally breath a sigh of relief. I appreciate you guys for sticking with me and hanging in there while I was on this unscheduled hiatus. Timeouts are a gift and I am so glad to be back now. Wouldn't you know the week I come back from my break it turns out to be a short holiday week? The weather has taken a dip in the evenings and that clearly means time to pull out the sweaters and boots. 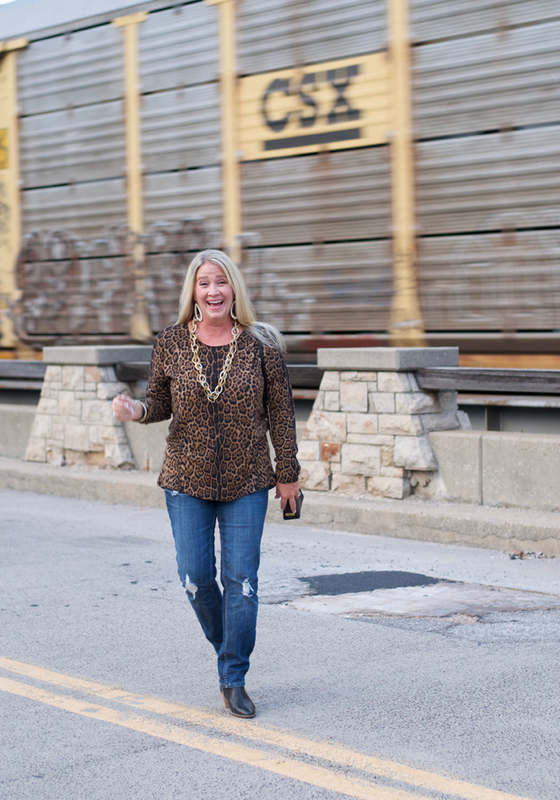 I love how fun it is to pull together an outfit that is so easy to dress up with a few statement pieces of jewelry. 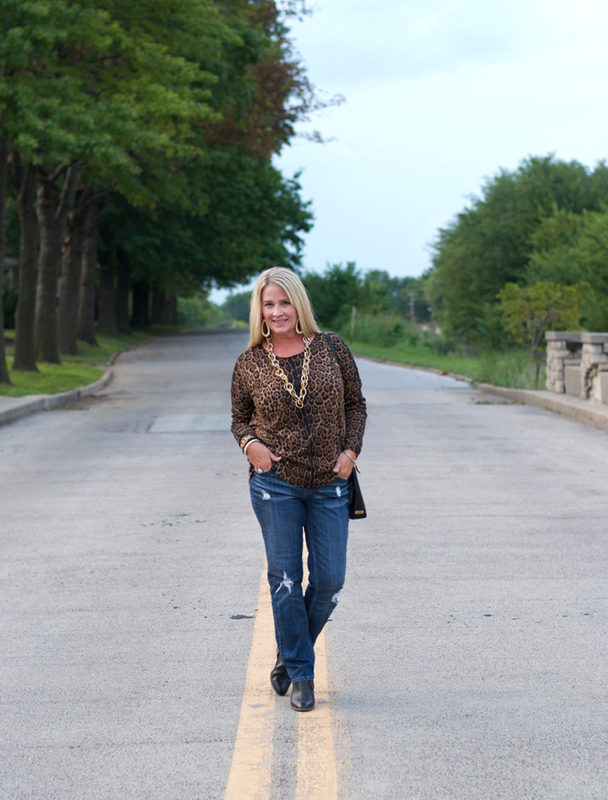 This leopard sweater had been a great addition to my wardrobe and I think I actually own four more in a variety of different styles. 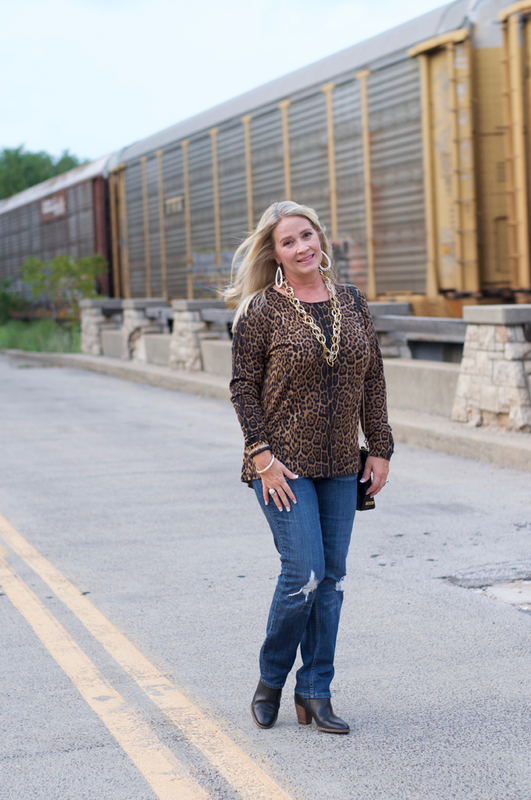 From cardigan sweaters to loose styles like this one, you definitely should own at least one great leopard sweater. These booties are so comfortable and I wear them with jean and dresses. You need to snag a pair; I love the brown leather too. They are currently on sale and I know they will sell out. This post is linked up. See my link up page for all the links I love.